The Inukshuk’s have begun a great migration south from their original habitat in the Arctic tundra. At first they started showing up in National Parks and wilderness trails across the country, but soon they even began to appear in backyards and city parks all over Canada. Along with the migration there seems to be a bit of evolutionary change happening as well and many of the southern Inukshuk’s have a slightly different structure from the northern species. 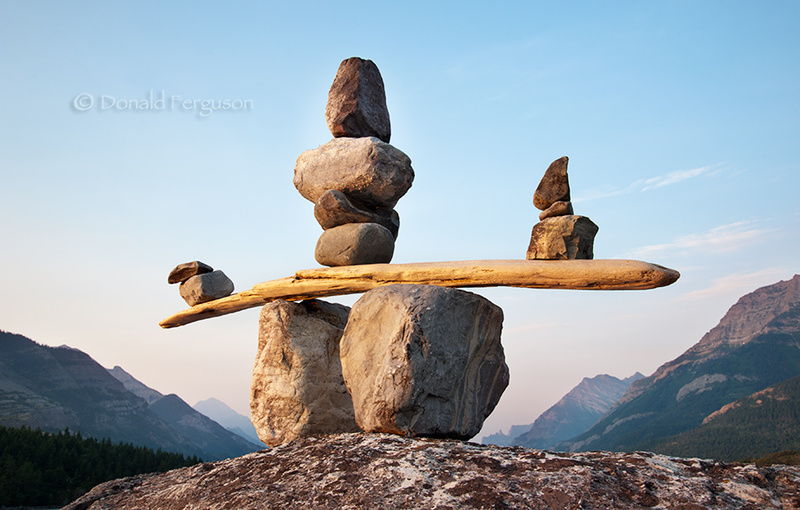 Al joking aside the Inukshuk has been adopted by all of Canada, it has become a symbol of our wilderness, of that inner explorer in each of us that would like to head down that trail, over that hill, around that bend, just to see…..